2017 Reunion for 508 P.I.R. The Making History Project will be attending another Veteran reunion, the 2017 Reunion of the 508 Parachute Infantry Regiment. The Making History Project is attending the reunion to support members of the “Greatest Generation” and provide encouragement to active duty paratroopers of the 82nd Airborne. This will be another occasion to visit with old friends, make new friends, and hopefully conduct a few more oral history interviews. 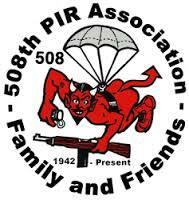 The 2017 Reunion for the 508 Parachute Infantry Regiment will take place this year on October 19, 2017, through October 21, 2017. The Reunion is being hosted in Fayetteville, North Carolina, the home of Fort Bragg and the 82nd Airborne. This year represents the 75th Anniversary of the activation of the 508 P.I.R. 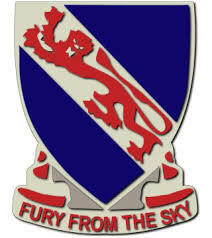 Active duty soldiers of the 508 P.I.R. will participate once again this year with the past generations of paratroopers from World War II, Korea, Vietnam, and other conflicts. As a special treat, the group will spend a day touring Fort Bragg and the 82nd Airborne Museum. For more information on the Reunion, to join the Family & Friends of the 508 P.I.R., or to purchase tickets for the Reunion, please visit the 2017 508 P.I.R. 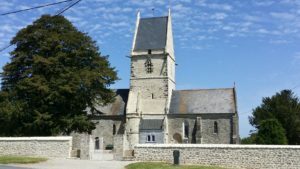 Reunion page.